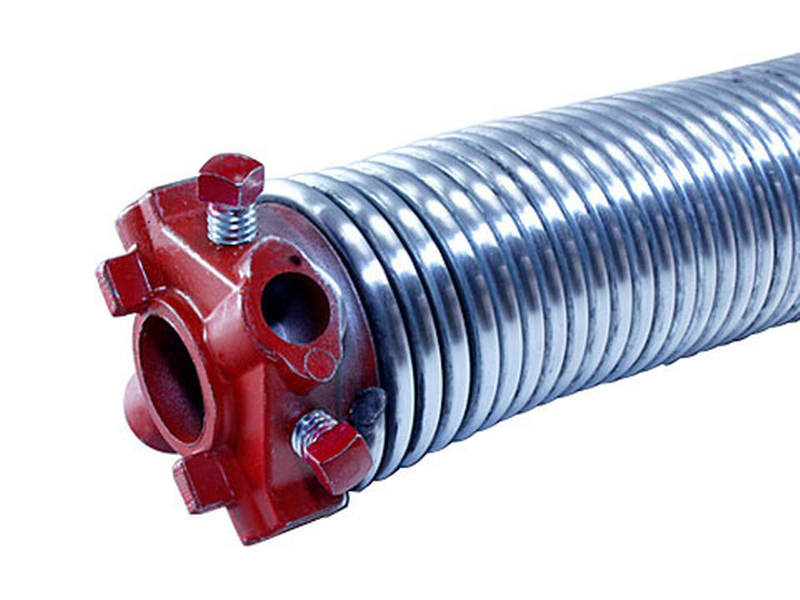 Long Life Premium Grade Galvanized Torsion Springs. A must for wet,moist locations. Impervious to rust as well as having aesthetic value. The spring shown above is a Right Hand Wound Spring which mounts to the left side of center(Red) End. A spring mounted on the right side of center is left hand wound(black end)Doors that have two springs have both right hand and left hand wound. Measure The Overall Length Of The Spring--UNWOUND.Take all your measurements from the broken spring. 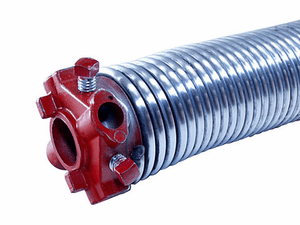 Measure the spring only from coil to coil. Do not include the winding and stationary ends. Look for a number imprinted on the winding end(shown above). If it says Raynor it is a 2 1/4" I.D. Refer to Wire Chart. Example: 10 coils measures 2 1/4" = .225 wire size. 20 Coils measures 4 1/2"=.225 wire size. Over .262 Wire, Call for Price.